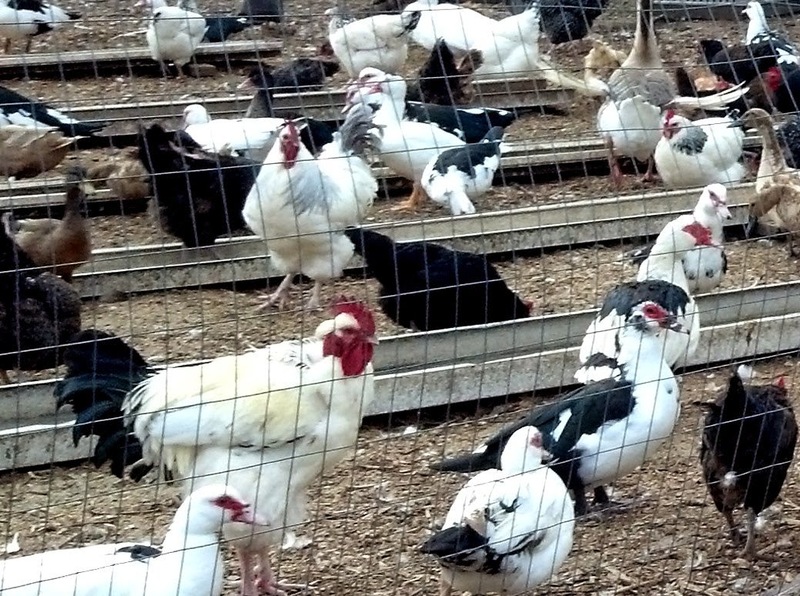 News from the Pacific Northwest finds two poultry flocks have tested positive for Highly Pathogenic Avian Influenza (HPAI). Both were mixed species flocks on small farms - perhaps just like yours! HPAI is extremely serious and causes sudden and high mortality in affected poultry flocks. HPAI entered Washington and Oregon via wild waterfowl. The disease spreads from bird to bird, and in infected poop. If you live in WA or OR and wild waterfowl visit your farm, either exclude them from areas they are attracted to, or keep your own birds well away from these areas. (Oddly enough, Canada geese pose less of a threat than wild ducks.) Also be careful not to pick up wild duck poop on your barn boots. If you do, wash them in a mild bleach solution. Now is a good time to review and update your biosecurity plan. Biosecurity is the set of practices you follow to keep your animals healthy. Just as you wash your hands before eating to keep yourself healthy, there are basic things you can do to help keep pathogens such as HPAI away from your flocks. More information can be found here (biosecurity resources), including links to USDA and CDC websites and a sample biosecurity plan.